An action RPG and the third chapter of the adventures of a morally unambiguous monster slayer, Geralt of Rivia. 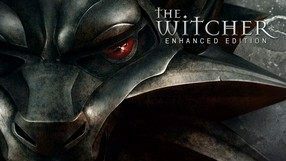 As were the parts of the cycle, The Witcher 3: Wild Hunt is based on Andrzej Sapkowski’s literary works, while not being a direct adaptation of any of his books. 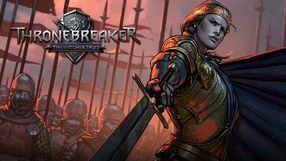 The story picks up after the events of the previous game and focuses on several plotlines, including Geralt’s lost love, invasion of the Nilfgaard Empire on the Northern Kingdoms, as well as the eponymous, spectral hunt. 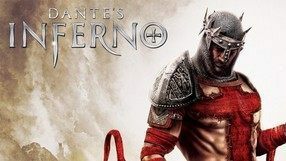 The gameplay is characterized by a sandbox style, giving players much freedom in exploring the vast world (an area more than 40 times bigger than in The Witcher 2: Assassins of Kings) and completing hundreds of side quests. The developers from CD Projekt RED introduced many new features, including a new REDengine3 that offers excellent audiovisual quality. 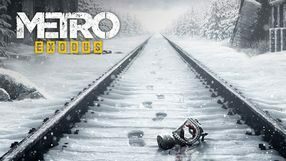 Metro Exodus is the third installment of the popular FPS series based on the books by Dmitry Glukhovsky and developed by 4A Games. Once again we play as Artyom who ventures through what remains of Russia after a nuclear war that took place twenty years before the action of the game. Metro Exodus is kind of an evolution of what we saw in the series' previous installments. As usual, we explore the game's rich world (this time, along with the tunnels, also the world’s surface), fight with the encountered enemies, and try to be as stealthy as possible. Stealth plays an important role in the game because we will encounter not only well-armed human survivors, but also mutants. Defeating a smaller one may not be that hard, but the more powerful mutants can be rather difficult to kill. As usual, the latest installment of the Metro series features visuals of the highest quality. Set in universe of Conan, a sandbox action game with survival features, developed by team at Norwegian Funcom, mostly known from its adventure cycle The Longest Journey and the Age of Conan MMORPG. We play as one of the many outcasts trying to survive in a brutal, hostile world. 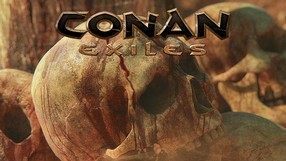 The gameplay of Conan Exiles doesn’t differ from what we have seen in other productions from this genre, focusing on fighting, gaining experience, gathering food and resources to craft many useful parts of equipment or build a shelter, providing us with protection against all kind of dangers, including attacks of wild animals and other players. As most f the game revolves around multiplayer, we are allowed to join forces with other players while completing tasks or building shelters. The developers have also included a full-scale single player mode. An action RPG game and the second chapter of the adventures of Geralt of Rivia. Similarly to its predecessor from 2007, The Witcher 2: Assassins of Kings was developed by CD Projekt RED. The game follows the foiled plot to assassinate King Foltest. With the appearance of a mysterious man called Kingslayer the titular witcher becomes entangled in a complicated political intrigue, in which the fate of several kingdoms will be decided. 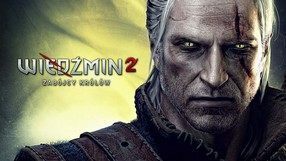 The developers tried to faithfully recreate the world known from the literary works of Andrzej Sapkowski while enriching it with new elements. Great emphasis was put on moral choices leading to one of 16 possible endings, and on the completely rebuilt, dynamic combat system. The Witcher 2: Assassins of Kings is distinguished by excellent visuals powered by the developer’s proprietary REDengine. The second expansion to action-RPG The Witcher 3: Wild Hunt created by CD Projekt RED. This time we accompany Geralt during his stay in Touissant – one of few countries in The Witcher’s universe still untouched by war. However, under the veil of carefree idyll the city hides a dark, bloody secret. Investigating the mystery is another task for the White Wolf. Just like in the first expansion, new content does not end with new missions. The add-on also features new items, characters, and monsters. 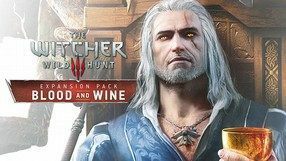 According to the developers’ estimate, Blood and Wine offers over 20 hours of gameplay. Extended browser production, combining elements of a strategy game and RPG. 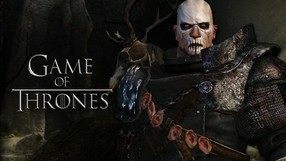 The game is based on the license of the popular TV series Game of Thrones. The Chinese studio Yoozoo Games is responsible for its creation. A combination of an RPG and a card game. 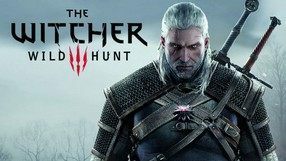 It takes place in The Witcher saga universe created by Andrzej Sapkowski. The game started its life as a stand-alone story campaign for Gwent: The Witcher Card Game. 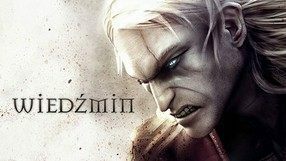 An action RPG developed by CD Projekt RED and based on the series of short stories and novels by Andrzej Sapkowski. The story of the game is set in 1270, five years after the Northern War. After losing his memory, Geralt somehow returns to the Witcher keep Kaer Morhen. The stronghold soon gets ambushed by a group known as the Salamander... While in pursuit of the attackers, our protagonist becomes entangled in an intricate plot involving the Order of the Flaming Rose. In the course of our quest we visit a number of locations and encounter several characters known from the books. The developers created a sizable world that reacts dynamically to the actions of the main character. On the technical side, The Witcher uses a completely rebuilt version of Aurora Engine. Another attempt to recreate the universe of the popular HBO TV series (based on A Song of Ice and Fire by George R.R. Martin) in the form of video game. This time it was created by the French studio Cyanide, known for sports games Chaos League and Blood Bowl. The result is a third-person RPG the plot of which is set in the world from the novels but tells a brand new story with fresh characters. You take part in events from the perspective of two heroes – Mors Westford from the Night's Watch and Alester who is returning to Westeros from exile. The gameplay is based mostly on classic RPG mechanics, with choosing various classes and careers and developing a character by gaining experience points. However, the developer designed an original combat system, which, unlike mechanics in typical hack’n’slash games, requires focusing on tactics and combining various actions, both offensive and defensive, in deadly sequences. The first large expansion to The Witcher 3: Wild Hunt, developed by the creators of the original game, Polish studio CD Projekt RED. The add-on is set in No Man’s Land and the city of Oxenfurt, where Geralt the witcher gets entangled in a shadowy intrigue and encounters a mysterious Man of Glass. Hearts of Stone is more than a new subplot and missions, which provide for a dozen extra hours of gameplay - the players can also gain new useful items and meet interesting characters. Furthermore, the bestiary was expanded by a several previously unseen monsters. 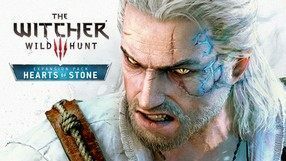 An enhanced and expanded edition of the bestselling role-playing game based on Andrzej Sapkowski's fantasy novels, developed by CD Projekt RED. This new edition brings many changes in terms of both the content and technical aspects. The creators introduced numerous corrections eliminating the flaws present in the original game, such as stability issues, prolonged loading time, and many errors present in foreign language versions. The original set of NPCs was substantially diversified, dialogue sequences were improved, including better facial expressions. The combat system and the interface were both modified as well. The latter encompasses mainly an upgraded equipment menu. In terms of content, two separate new adventures were added, as well as the D'Jinni editor that allows us to create our own modifications. The enhanced edition is enriched with additional discs containing the game's soundtrack and development footage. Furthermore, the new edition includes an expanded game manual, a map, a guide, and an exclusive edition of a Witcher short story written by Sapkowski. A post-apocalyptic first-person shooter featuring RPG and survival horror elements, based on the bestselling book written by Dmitry Glukhovsky. It was the first game developed by 4A Games, a studio that consists of developers working previously on the S.T.A.L.K.E.R. series. The plot of the game takes place after a nuclear catastrophe that wiped out almost all life on Earth and made the natural environment irradiated and uninhabitable. The only survivors have formed a society, consisting of barely a few thousands of people, living hidden in the tunnels of the Moscow metro. The player assumes the role one of the young inhabitants of the tunnels – Artem, who must get to the central part of the tunnel system and inform other humans of a threat posed by the attacks of mutated monsters. During his journey Artem will face many dangers using a large array of weapons. The game us to choose our preferred combat style – direct confrontation or stealth attacks. A post-apocalyptic survival-horror FPS developed by 4A Games studio from Ukraine. The plot continues the events of Metro 2033, a game published in 2010, while the story loosely alludes to the books by Dmitry Glukhowsky. The action takes place in a world of future, destroyed by nuclear bombing. A handful of Moscow citizens who have survived the explosion hid in the city’s subway network. Divided into several conflicted fractions, people try to fend off waves of mutated animals. The player assumes the role of Artem – a young man who tries to prevent a looming war between the survivors from happening. The gameplay combines elements of a dynamic, first-person shooter and a stealth game. 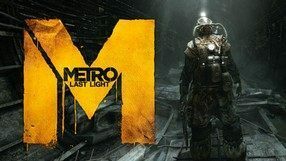 When compared to the first installment, Metro: Last Light offers bigger locations and introduces an improved enemy AI. The game features high-quality graphics, as the developer's proprietary technology, the 4A Engine, has also been updated. 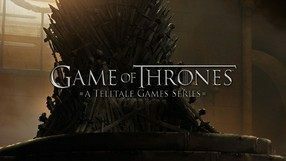 A game by Telltale Games, the studio behind many others similar productions, designed as an episodic adventure game based on the HBO’s popular TV show Game of Thrones - an adaptation of George R. R. Martin’s A Song of Ice and Fire books. The game features an original story overlapping with the events presented in the seasons 3-5 of the TV series. This six-part episodic story focuses on the House Forrester, whose members, although missing from the TV show, appeared in the fifth book of the saga. Known for ironwood trade, the Forresters are trying to survive the War of the Five Kings, while competing with House Whitehill. Gameplay employs the classic point-and-click mechanics. The game lets you visit many well-known locations from across both the Westeros and Essos continents, and observe the events from the perspective of several characters whose actions have direct impact on the fate of the two families. 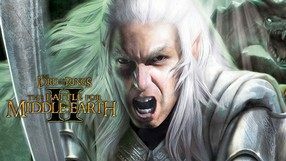 A sequel to the bestselling real-time strategy based on the very popular Lord of the Rings book trilogy and its cinematic adaptation. This time the action takes place in the northern areas of Middle-Earth where combined forces of humans, elves and dwarves face the army of evil Sauron represented by orcs of Mordor and Isengard. Players can play 15 scenarios per each side of the conflict. The second installment in the series uses the mechanics from the original game while introducing many improvements. It is now possible for players to create their own heroes and improve his skills during the game. Lists of available units, weapons and spells were increased and the fights now take place not only on land, but on sea as well. Thanks to the improved SAGE engine, graphics of the game were enhanced, as were the looks and number of units appearing simultaneously on the screen. A multiplayer-focused action role-playing game, taking place in the famous Lord of the Rings universe. The game was developed by Snowblind, creators of e.g. the console edition of the legendary Baldur's Gate. 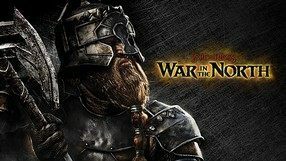 You play as a man, an elf or a dwarf, fighting the forces of Sauron and participating in the events in the norther part of Middle-Earth, happening concurrently to the main story of the Lord of the Rings novel. Depending on your chosen character, the gameplay mechanics vary slightly, and you use different abilities. The story unfolds depending on your choices, enabling us to do many sidequests. Of course, your character can level up and gain new useful abilities. The game can be completed in a three-person co-op mode or in a singleplayer mode, in which you are supported by AI-controlled party members. The ninth major installment in the action adventure game series developed by Frogwares, dealing with the exploits of the world most famous sleuth. The plot, as per tradition, takes us to the streets of the Victorian-era London, where Sherlock Holmes and his inseparable companion, Dr. Watson, have to solve five all-new crime puzzles, in which they face, among others, dark family secrets and mysterious cults. 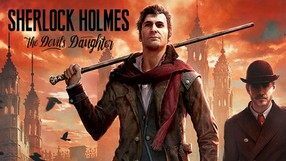 In terms of gameplay mechanics, Sherlock Holmes: The Devil's Daughter follows the direction set by three previous installments of the series, combining elements typical to adventure games with sequences characteristic of action games. In accordance with modern standards, the game offers also the option to move freely through the streets of London and a non-linear storyline that changes dynamically depending on the player's choices. The game features visuals created for the next-generation consoles, which makes it the most visually impressive installment in the series so far. An action game based on the novel by Mario Puzo and its movie adaptation by Francis Ford Coppola. You play as a thief, who makes his way into the world of the Corleone family. By doing various tasks for them, he climbs up the mafia career ladder and earns growing respect from other criminals. The game is set in New York, at the end of the 1940s and the beginning of the 1950s. The non-linear character of the gameplay allows you to choose the order of missions to complete as you wish. Like the Grand Theft Auto series, The Godfather features an open world, and the game is full of spectacular pursuits and shootouts, as the Corleone family has many enemies, e.g. Tattagalia, Cuneo or Stracci. The characters in the game are based on their movie counterparts, and are voiced by actors such as Marlon Brando, James Caan and Robert Duvall. The game features high-quality visuals and the music based on that from the movie. A third-person action game with elements of 3D platformer and adventure game, designed by American McGee and his Spice Horse studio. Similarly to the previous work of that developer, i.e. 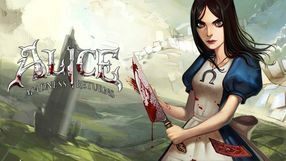 American McGee’s Alice, also this game is a reinterpretation of a novel by Lewis Carroll. After ten years of dealing with catatonic schizophrenia caused by the tragic death of her parents, the eponymous heroine has a chance of getting back to a normal life. However, a hypnosis session at a psychiatrist ends up with Alice returning to Wonderland, which has greatly degenerated since the protagonist’s last visit. In Alice: Madness Returns you explore a string of locations, jump over platforms, avoid numerous traps, solve various logic puzzles and fight opponents using unusual weapons – such as a kitchen knife or a deck of deadly cards. The adventures are presented in high-quality audiovisuals with a unique art style – locations known from the original story were recreated in a much darker, distorted version. A dynamic TPP slasher that takes place in a hell-like setting. The game was developed by the creators of Dead Space. The story is loosely based on the fourteenth-century book written by Dante Alighieri. The protagonist of the game enters hell in search of his beloved. During the journey he travels through 9 circles of hell and fights Lucifer, the king of hell. The game enables the players to develop their character and improve his skills. An enhanced version of Mount & Blade that takes the mechanics of the sandbox RPG by TaleWorlds into the reality of Polish-Lithuanian Commonwealth, clearly drawing inspiration from the famous novel by Henryk Sienkiewicz. The gameplay still combines elements of action, strategy and role-playing games and is divided into two parts, so to say. The world is managed via a strategic map, and we can take action in either first- or third-person mode when necessary. Compared to the vanilla game, Mount & Blade: With Fire & Sword offers slightly improved graphics and AI of the enemy soldiers as well as several minor enhancements, including a myriad of previously unavailable quests. 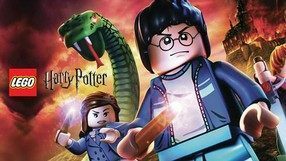 However, the biggest novelty is the introduction of a multiplayer mode which offers the possibility of fighting battles with our friends, thus making the game continue even after completing the story campaign. An RTS with turn-based elements, developed by Cyanide Studio. The game is based on George R.R. Martin's bestseller book series, A Song of Ice and Fire – however it is set hundreds of years before the events known from the books, and the plot focuses on the unification of the Seven Kingdoms. The players can participate in the eponymous game of thrones, the intrigues among well-respected nobles. The game's core is the story campaign, divided into eight chapters, each of which is focused on a different time period. Additionally, the game offers an extensive tutorial; there is also a House vs. House mode, which gives the players a complete freedom in unifying Westeros under their banner. 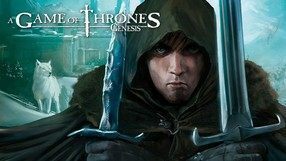 During A Game of Thrones: Genesis we not only participate in wars but we also create alliances, send spies and even contract killers. What is interesting is that we should not only invigilate our enemies but also allies – alliances, created thanks to the diplomacy system, which offers a lot of options, won't guarantee us complete safety – our allies can be bribed by the enemy and we never know when they will begin working against us. Besides the single player modes the game also offers multiplayer. A real-time strategy game developed by EA Los Angeles. The title takes place in the fantasy universe of Middle-Earth created by J.R.R. Tolkien. The game allows the players to participate in two separate campaigns in which they can lead one of 4 nations: riders of Rohan, soldiers of Gondor, army of Isengard and legions of Mordor. Each nation has its advantages and weaknesses. The gameplay combines features of classic RTS games, based on resource gathering and base expansion paired with epic fights during which, similarly as in the Total War series, the player controls whole formations of troops and powerful war machines. Heroes with special powers, such as Gandalf, Aragorn, Legolas or Gimli are an interesting addition to the formula. The developers recreated many battles known from the trilogy, including the Battle of Helm’s Deep during which as much as 500 units can appear on the screen simultaneously. Graphics of the title are generated by the engine that was previously used in Command & Conquer: Generals. 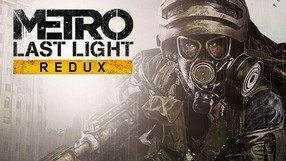 A remastered edition of Metro: Last Light, a first-person shooter with survival horror elements, developed primarily with 8th-generation consoles in mind. The action takes place in the grim universe created by Dmitry Glukhovsky, adapted by 4A Games for the purposes of the game. 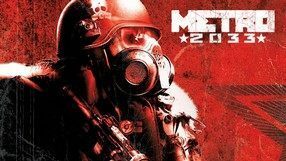 The sequel to Metro 2033 continues the themes of the original game, while the protagonist abandons the subway tunnels to travel to the surface to stop a conflict between the surviving remains of humanity. The gameplay mechanics remain unchanged and still offer both action sequences as well as stealth sections with the possibility of silent kills. Thanks to the increased size of the locations, the game allows us more freedom and provides more than one path to a given objective. The remastered edition is nearly identical to the original, and the changes it introduces involve mainly improved visuals. The title comes with all previously released DLCs and two new game modes: Survival and Spartan.